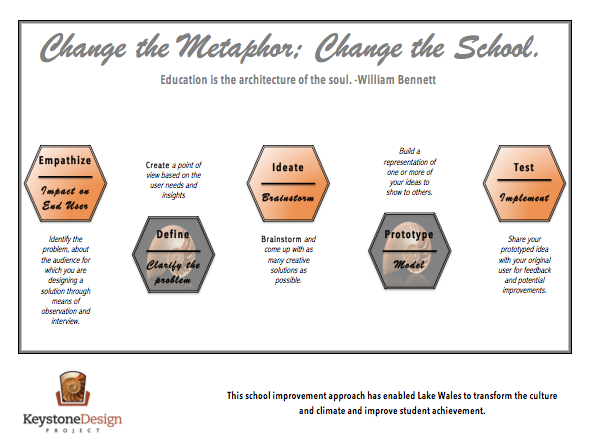 Keystone Design – Change The Metaphor; Change The School. Change the Metaphor; Change the School. The Keystone Design Approach is a new architecture for learning. This framework builds a common vocabulary for the students and places the student as the central designer of their learning and life after high school. If one understands design principles, your whole way of thinking changes; it is a mindset that can be applied to every discipline. This approach engages the intellectual, emotional, and ethical pieces of learning. We teach students to become the architects of their lives. CLICK HERE to read Dr. Beresin’s article about the Keystone Project. Creating a place for students to flourish: Keystone Design is a three-part process to change education. 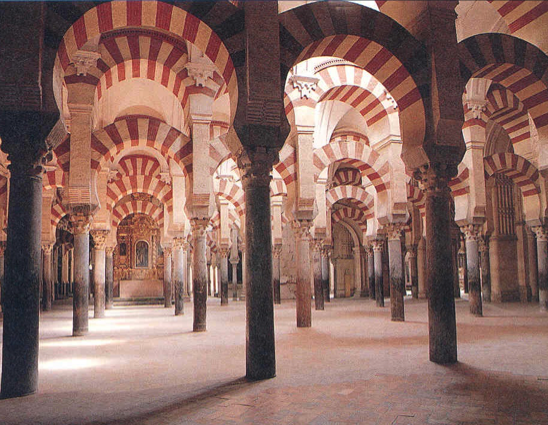 Using the Keystone approach as the driving organizing principle to redesign a school; every administrative decision that has been made has been guided by the understanding of design vocabulary: foundation, patterns, balance, symmetry, unity, harmony, scale, proportion, rhythm, contrast, structure, coherence, perspective, etc.. Taking each of these words and applying them to not just the built environment, but ensuring that every aspect of this school redesign is intentional. The deeper work in transforming a school occurs when a school begins to infuse the Keystone approach. The substantive changes occur when each discipline and the school as a whole are taught to think this way. It is not a quick fix, nor is it an artificial stretch to create some interdisciplinary unit, rather an approach that results in deep structural change. Keystone builds a common vocabulary for the students and places the student as the central designer for life after high school. If one understands design principles, your whole way of thinking changes; it is a mindset that can be applied to every discipline. This approach engages the intellectual, emotional, and ethical pieces of learning. We teach students to become the architects of their lives. For more information on the design thinking model shown above visit Stanford School of Design! CLICK HERE to read the entire article from the Lakeland Ledger.